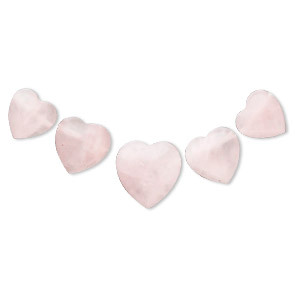 Bead, rose quartz (natural), 12x12mm-17x17mm graduated heart fan, B grade, Mohs hardness 7. Sold individually. Item Number: H20-2808NB Have a question about this item? You will be impressed with the precision cutting, polishing and over-all quality of this gemstone fan component. Colors, shapes and sizes may vary. 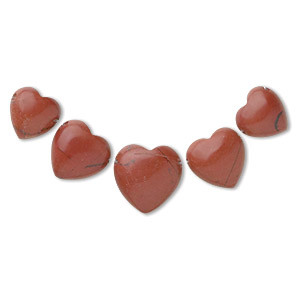 Bead, red jasper (natural), 12x12mm-16x16mm graduated heart fan, B grade, Mohs hardness 6-1/2 to 7. Sold per 5-piece set.